Do you still dream? Many of you have been successful because you had dreamt about serving your country, or flying, or exploring a distant port-of-call. 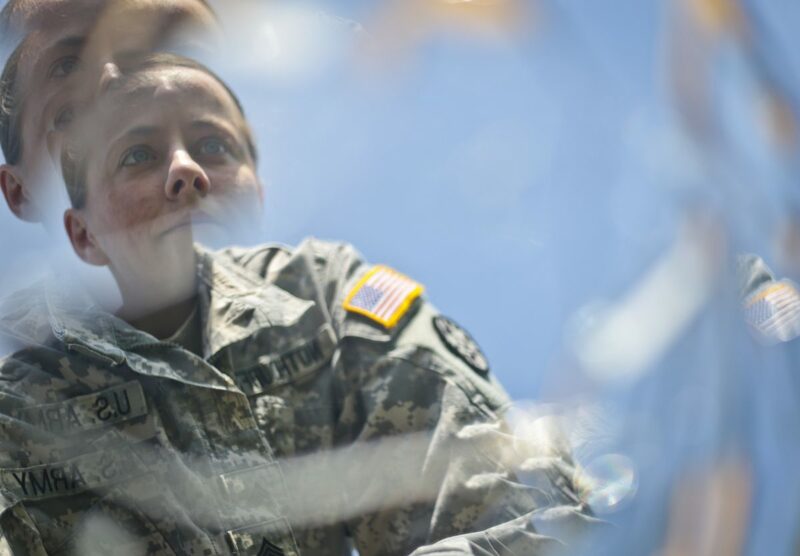 But are you dreaming about what’s next for you and your family after military service? How do you dream about the next step, whether transitioning to a company or a nonprofit organization that’s involved in a cause that really moves you? Truth is, our dreams belong to God, and our dreams should be given over to Him. He has a great deal to say about our dreams, wants to be involved in them, and use them for His good purposes—and our benefit. Dreaming with reality is like putting God’s plans for us on “speed dial.” I’ve seen it in my own life. As a young man dreaming about going into space, I once travelled to see the Apollo astronauts launch off to the moon. I placed myself atop that booming, cylindrical arrow as it rose skyward on a tongue of flame. Soon, I received word that I competed favorably for admission to the Air Force Academy. And in a few years, I would be flying my own plane on the end of a tongue of flame. God did all of that because He knows my dreams, too. If you don’t dream, is anyone teaching your children how to dream? More likely than not, they’re being told what to dream rather than how to dream. Their peers are telling them they should dream about looking like that person in the teen magazine. Their college professor is telling them they have to dream for other life goals and put away their “draconian religious beliefs.” I would assert that the dreams others may have for your children could be one reason why so many leave their faith behind when they leave home. And yet, if they were taught how to dream for themselves, they would find this very freeing and, in realizing their dreams, solidify their faith. They might be alerted to, and keep at arm’s length, the dreams others may have for them. I have seen how our own dreams are realized more often and more quickly than those others may have for us. Don’t you think that’s what your children really want? Isn’t that what you want? When I speak with adults about teaching their children how to dream, many tell me they want to learn as well. I’ve taught about how to dream for years. I now speak at seminars and luncheons to leaders about dreaming with reality. I teach that there are three tenets to dreaming for ourselves with a greater chance of realizing those dreams. The next step on the career ladder, transitioning out of the military, or “someday” goals may be unclear, but God has a great deal to say about our dreams for the future. Clarity comes by believing that God will direct us in our aspirations. The first tenet is to agree that absolute truths exist and truth will be the language of our dreams. If we are going to dream in another language, or someone else’s language, then we run the risk of pursuing dreams that others have told us to pursue. What’s worse, self-deception can more easily occur if we’re being less than truthful with ourselves about what God wants for us. When we ask God to help us with our dreams, we must believe what we hear from Him and not substitute our own agendas or seemingly easier ways of realizing them. If we truly want to see our dreams become real, we must articulate that reality using God’s language of truth. The second tenet is to agree that faith is the landscape upon which we paint—or visualize—our dreams. We all have faith in something. But if we truly want what God wants for us as we dream, we’ll pursue those dreams with the faith God gives us, staying plugged in to Him along the way. Faith will map out the journey for us. In this way, we will “stay in our lane” as we run the race to achieve the dreams God has for us. The third tenet is to conclude that we are content with where God wants us to start dreaming. Think of it this way. God doesn’t care where we start, but He has placed us where we are with certain experiences and abilities and we are to use those life lessons and skills to dream into the future with Him. Being content with God and His presence in, provision for, and providence over your life may be difficult for some who live in poverty or come from a broken home. But I cannot believe that God wants us to dream out of a spirit of discontentment. You may not be personally happy with how you’ve prepared for life’s looming transitions. But if you want to realize your future dreams, launch them on the foundation of God’s sufficiency for you and your family’s future. After all, He loves you more than you love yourself. He has placed you where He wants you and He knows exactly what He’s doing. With those three tenets in place, you can start visualizing your dreams. You do this already. When you take your children to visit colleges, is that just to talk to the admissions offices about scholarships, or is it to help your children see themselves at that institution and visualize their future there? Ask your children about their dreams, and make an effort to help them establish that foundation of dreaming in their lives. Dream alongside them and visualize your dreams with them. Then, stand back and be amazed at how God works for both of you. My family knows best that when I stop dreaming, I will have stopped breathing. Like me, when you embrace His reality for your life, you’ll never stop dreaming. Bill is currently teaching for Colorado Christian University where he was named 2014 Outstanding Faculty of the Year. He loves OCF’s retreat centers, often speaking at Summer Celebration or as a transition coach with the Caleb Challenge team.